Nottingham City Transport’s fleet of 53 bio-gas double deck buses will more than double in size this year, as a further 67 join the City Operator of the Year’s fleet. NCT has been successful in securing a further £1.12m from OLEV (Office of Low Emission Vehicles), which will be used to expand its bio-methane refuelling station at its main bus depot. 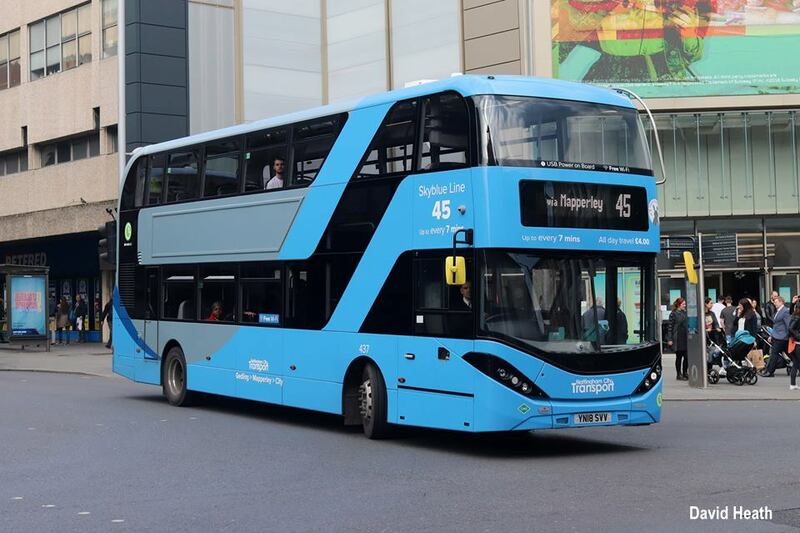 Expanding the bio-gas refuelling station is necessary for NCT to be able to fuel more gas buses and this funding announcement paves the way for NCT to confirm its order for 67 more bio-gas double decks, representing a total investment by NCT of £20m. 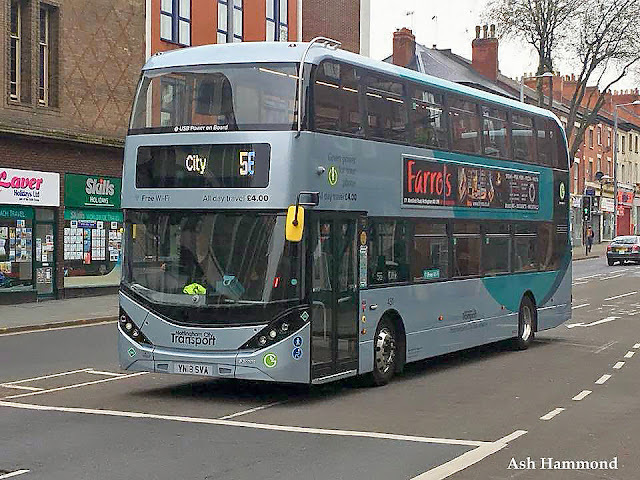 The first of the 67 buses will enter service on Brown Line 17 to Hucknall Road, City Hospital and Bulwell in April, with further routes announced and launched throughout the remainder of the year. It is expected all 120 bio-gas buses will be running by November. 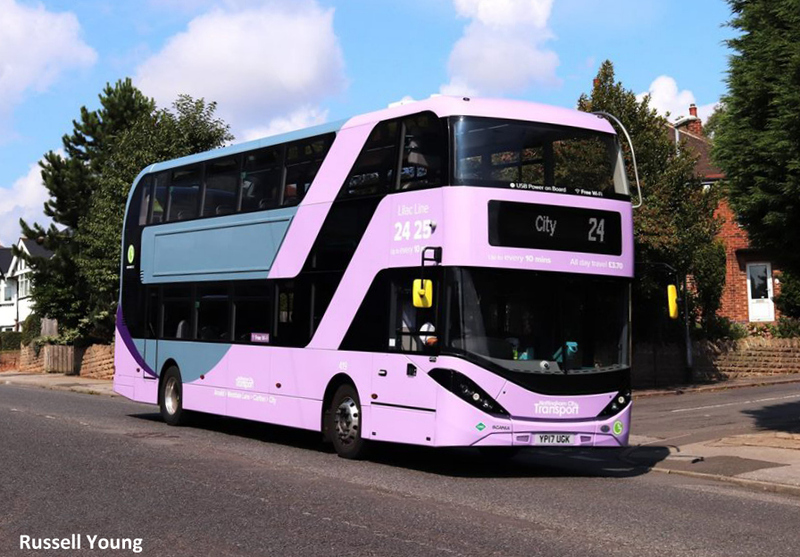 The introduction of further bio-gas double decks allows NCT to withdraw its oldest buses (pre-2010), with Pink Line 28 to Bilborough set to receive these new buses in the summer. Bio-gas double decks are the greenest buses on the road, with well-to-wheel emissions that are 84% lower than an equivalent new diesel double deck. With 120, more than half the NCT double deck fleet will be fuelled by bio-gas by the end of the year. 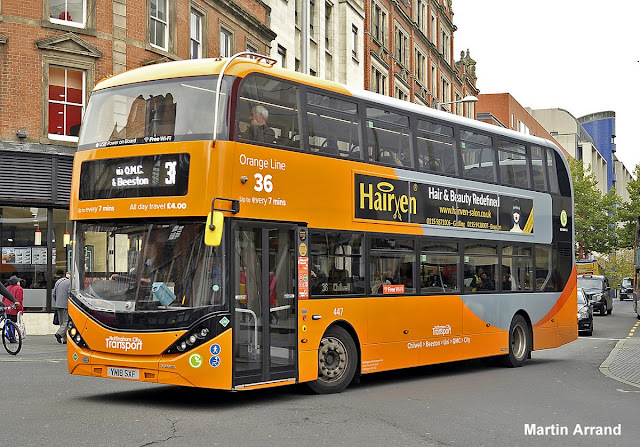 Alongside this significant investment by NCT in new buses, the company is also fitting exhaust treatment systems to its existing younger diesel buses, following funding secured by Nottingham City Council and Nottinghamshire County Council last year. This will see all NCT buses meet the most stringent Euro VI emissions standards across its fleet within a year, supporting Nottingham City Council’s clean air strategy.